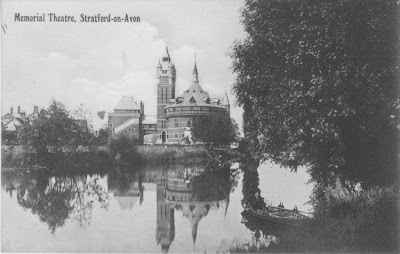 The new Shakespeare Memorial Theatre was built next to the fire ruin in 1932. This postcard was sent on 17th August 1949. 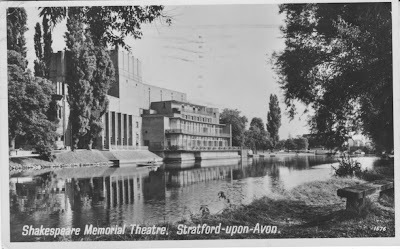 It says 'We paddled a punt to the amusement of all Stratford yesterday, and then saw Cymbeline... tremendous activity and much humour... On the dark side, but effective..."